If you have followed some of the advice contained within the article entitled ‘What Organisations Look For In A Good Volunteer’ when it comes to completing your application form you may well get invited in to an interview. You should not be daunted by this prospect if you remember that the interview role will, more often than not, follow a similar approach for most voluntary positions. However, it’s important that you do your homework and try to prepare for all eventualities as best you can. The best way of doing this is to make sure that you make a photocopy of your completed application form so that you are entirely familiar with the questions that were posed on it and the answers you gave. Pay particular attention to your previous experience and think of questions that were on the form and the answers you gave and also to any open ended questions where you were given space to complete your answer. The interview is likely to consist of two parts (unless you’ve been given different guidelines as to how it might proceed). The information you provided on your application form is likely to form the basis for the kind of questions you’ll get asked in the initial stages of your interview. Here are some questions you may get asked and if you can see their relevance to your application form, it’s a good idea to prepare your response ahead of time. Tell me about your previous volunteering (or work) experience and why that ended? Tell me how you think you could help our organisation? What skills and personal qualities do you think you have to offer? What do you hope to gain from the experience should we offer you a position? Tell me what interests you about our organisation specifically and why you chose us as opposed to other similar organisations? There may be other questions you’ll get asked too but if you’ve prepared good answers to these questions above, you’ll be in a strong position to impress the interviewer. Don’t be thrown off course if you’re asked something you didn’t expect to be asked. Simply answer the question as truthfully and as best you can. Somewhere down the line, you’ll be able to steer the conversation around to those issues which you’ve prepared some good answers for. And, don’t forget that most often asked question which often throws interviewees – the one that goes…”tell me about your strengths and weaknesses”. This question can often catch people off guard as they can sometimes get flummoxed by having to explain any weaknesses. The best thing here is to come up with an answer that turns the perceived weakness into a strength. For example, a good answer might be, “I find it hard to switch off from my work sometimes and often stay after others have gone home to get the job done.” This is an example of a supposed weakness which could be perceived as a strength in that you’re demonstrating your commitment to the job in hand and your ability to see it through even if it means working after others have gone home. You’ll no doubt be able to think of other examples for yourself. This is the part where you’ll usually have to use a little ingenuity and have to think on your feet as it will often involve some kind of role play exercise or might take the form of a “what would you do in the event of…”type of questioning. Here, the interviewer is trying to establish how well you’d be equipped to cope in a situation which you might be faced with if they were to offer you the job. The interviewer is not expecting miracles here. They just want to try to find out how you’d approach the issue and in what way you’d use your existing skills and personal qualities to obtain a resolution. You never know…the quality of your response might even make them sit up and take notice to the point that they think you might be capable of doing a much more advanced role than the one you’ve applied for. It’s difficult to come up with specific examples here when there are so many different types of voluntary jobs out there. However, using these below as a guide, you may be able to come up with similar style scenarios that are more related to the position you’re applying for. And, for this part of the interview, it’s often a good idea to practice some of these styles of question and answer sessions with a friend or family member before you attend the interview. Examples might be similar to the following. Tell me about a crisis situation you’ve been faced with in your life and how you resolved it? A teenager tells you they think that they are pregnant and that you are the only person they’ve told. What would you do and what would you say to the teenager and how would you try to help them? You’re out collecting fund raising money in the street. A man comes over to you and says he’s planning on donating £10 to one fundraiser on the street today and there are 3 people collecting for different charities along the same street. He asks you why he should donate to your particular charity. How would you convince him to give you the money? 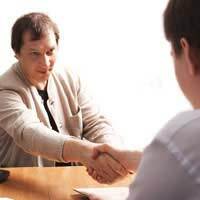 There are no right or wrong answers when it comes to interviews be they for a voluntary position. And, whilst perhaps throwing the odd difficult question at you may not prove to be your experience, it's useful to prepare for all eventualities just in case, as many voluntary organisations can often have far more applicants than they have vacancies. By doing some research about the voluntary role you want to pursue and by practising some questions and answer sessions and doing some role plays before you go, you’ll find that the better prepared you are, the more likely you’ll be able to impress the interviewer sufficiently to offer you a role. Good luck! Maybe i'm missing something here but volunteering companies should be asking what they can offer you not what you can do should you be offered the 'position', there is no 'position' you're working for free for most likely tax exempt businesses dressed as charities. Thank you, this settled my nerves alot. It was a huge help!